We are the official Beholder retailer and distributor. All our Beholder Gimbal products come with 1 year Beholder warranty. Take your adventure footage to the next level!! 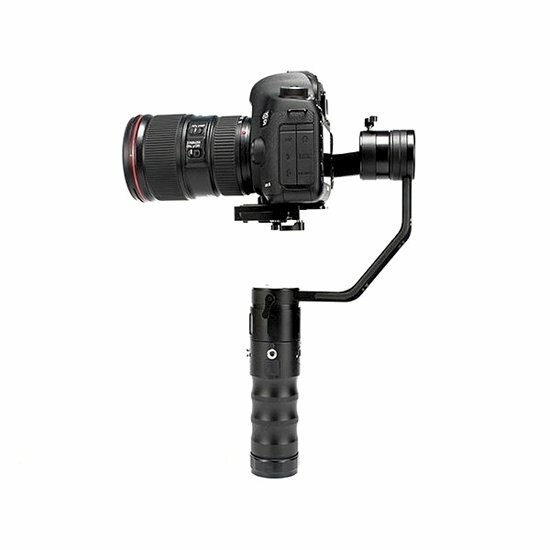 The Beholder ec-1 stabilizer will allow you to do what was previously impossible - Shoot stable handheld footage. Lightweight for its size yet designed to support DSLR cameras, the Beholder ec-1 gimbal for DSLR and mirrorless cameras is a 3-axis gyro stabilizer with brushless motors. The Beholder ec1 is a 3-axis handheld Gimbal stabilizer for DSLR and mirrorless cameras weighing between 900g - 2kg. The ec1 offers unlimited 360° rotation along the yaw, pitch, and roll axes, and features an advanced 32-bit controller and 12-bit encoder system. The Gimbal employs an adaptive pid algorithm to deliver stable rotation. The ec1 offers three follow modes plus an auto-inversion mode that allows for upside down operation. Auto-inversion lets you use the Gimbal with dual handle support systems like the ikan dgh. The ec1 also features a lock mode that sets the camera in a fixed position, and a point-and-lock mode that locks the position you hold the camera in for a few seconds. The ec1 also has an oLED display on the rear that confirms the selected mode of operation and provides battery life info. The ec1 is designed with a quick-release baseplate that allows for convenient camera attachment and tool-less balancing. It also has a 1/4"-20 threaded mounting hole on the handle for attaching accessories for advanced setups, and a 3/8"-16 threaded mounting hole on the bottom for mounting onto a tripod, monopod, and other support gear. The ec1 is supplied with three 18650 batteries that provide up to 3 hours of operating life. These batteries are rechargeable from within the ec1 using powerbank (Not provided) or micro USB cable (Not provided) and can also be charged using the provided Beholder charger. Start shooting video like a pro in seconds with your camera! Full stabilization provides smooth and professional video quality without abrupt jerking! Accessory mounting threads: 1 x 1/4"